Sheriff-elect Ed Gonzalez has his work cut out for him. When newly elected Sheriff Ed Gonzalez takes office on Jan. 1, he will face a tangle of budget, staffing and jail inmate safety issues inherited from more than a decade of struggles at the nation’s third-largest sheriff’s department. Staff shortages at the troubled jail operation alone have resulted in overtime expenditures of $14.8 million so far this year, adding to a current tab of $10.4 million to pay for temporary medical help in the jail clinic and mental health wards, county budget records show. The burgeoning jail population – which soared to more than 9,400 inmates in September – has forced officials to put some inmates on temporary cots and ship others to private, for-profit jails for up to an additional $1 million a month. And on the law enforcement side, critics point to low clearance rates for nearly all crime categories and a need for additional investigators and patrol deputies. Gonzalez, a longtime Houston homicide detective who served on the City Council before being elected sheriff in November, told the Chronicle he is apprehensive about the fiscal condition of a department responsible for public safety in a large swath of unincorporated Harris County. “My main priority will be dealing with the budget, the need to improve the situation at the jail, the overtime issues that are killing the budget, and morale that is really low right now,” Gonzalez said recently, as he prepares to take office. Gonzales said he is committed to hiring an experienced, certified jail administrator to help oversee operations in the county’s sprawling jail complex and will work with the patrol and investigative divisions to improve clearance rates of crime. He’ll also have to develop a new leadership team. The sheriff-elect said he expects only a few of the 25 high-ranking members of outgoing Sheriff Ron Hickman’s command staff to remain. Jail safety expert Michele Deitch urged Gonzalez to create an independent group, or an ombudsman, to closely monitor jail conditions in what is largely a closed system. Recent reports ranked Harris County with the highest per-capita rate of jail deaths of any other jail in the nation, as well as continued attempts at suicide by inmates and violent assaults on inmates and guards, Dietch said. In April, Patrick Joseph Brown, 46, was jailed for allegedly stealing a guitar and then beaten to death in a crowded holding cell by two other inmates. The cell was equipped with surveillance cameras, but due to a lack of staffing, no officers were watching the monitors. At least two other deaths in the jail came after assaults on inmates by other prisoners, according to state in-custody death reports. I’ve covered some of this before. I’ll say again, I believe the single most effective thing our new Sheriff can do to relieve both his budget and personnel issues is work to reduce the number of inmates in the jail. You know the song I’m singing, and it really is that simple. All of the problems discussed in this story are related to the locking up of too many people who have not been and in many cases will never be convicted of a crime. 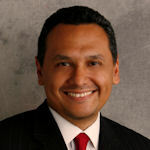 Gonzalez has less power to affect this problem than some others – he will be very dependent on the magistrates and misdemeanor judges who treat jail space as infinitely renewable – but he can at least order his deputies to issue citations to low-level non-violent offenders instead of arresting them, and he should have an ally in DA-elect Kim Ogg. He can also help force a settlement in the bail practices lawsuit against the county. He will still have plenty of other things to deal with, but getting this solved will make the totality of his task a lot less daunting. If citu council was serious about reducing recidivism they would have passed a ban-the-box ordinance by now.